Join TIFF files into one file like a Pro! 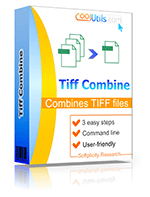 Use Tiff Combine to merge Tiff files. It really works!